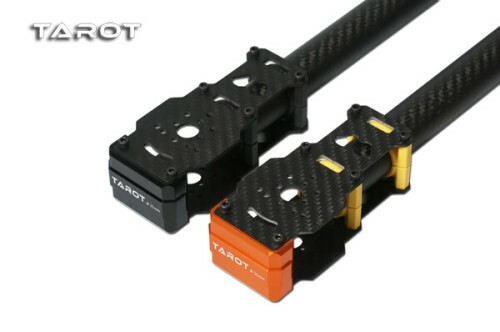 New 25MM CF motor mount is easy to install, with lighter weight. 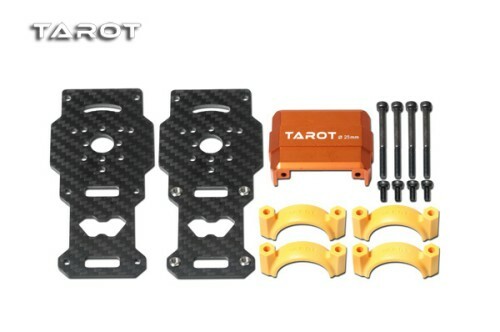 User can assemble motor on and under the motor mount in same time, with aluminum mount around. It can protect the motor and wires. Applicable to TAROT T810/T960/T15/T18/IRON-MEN1000/STO S-1100 and 25mm diameter boom modification.